Catch dreams with Amethyst and Rose Quartz crisps. 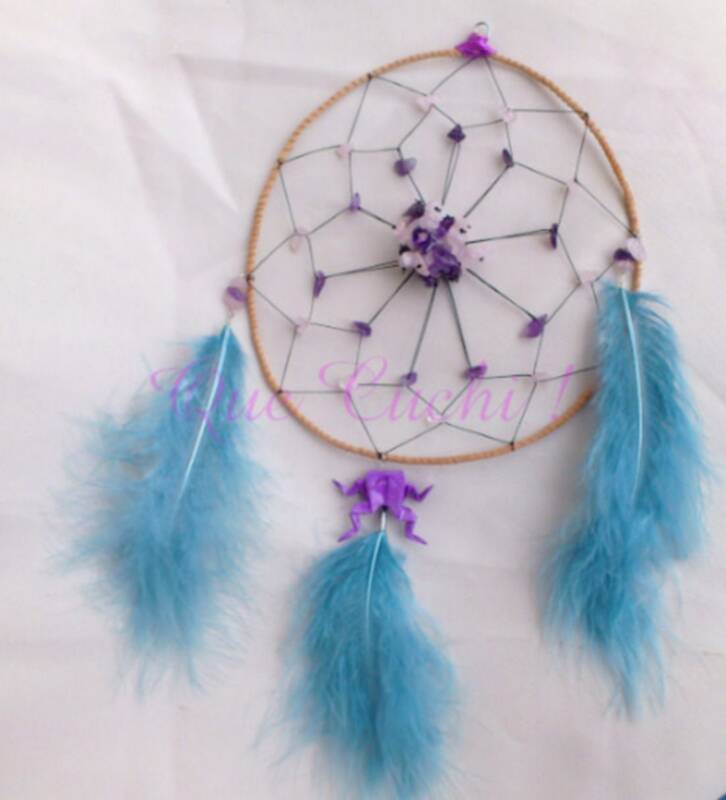 Dream Catcher 32 cm long (with feathers) and 14.5 cm in diameter, handmade with wire wrapped in light brown leather, 10 black nylon threads, 3 blue feathers, a glittery origami frog, chips of Amethyst stones and Rose Quartz (both together are effective for insomnia and nightmares). Catch Dreams Jewelry Car with Turquoise. Sautoir catches dreams 7 chakras. Rose quartz beaded bracelet with magnet clasp.